Secret stamp from 1949 Atomic Energy Commission Document. When it comes to trade secret protection, there’s a new sheriff in town. Congress recently updated the Economic Espionage Act of 1996 (EEA), and as part of that update, it created a brand new federal trade secret protection law. Shockingly, and in a rare flash of solidarity, the U.S. Senate unanimously passed the law, and the House of Representatives ratified it by a lopsided vote of 410-2. The Defend Trade Secrets Act of 2016 (DTSA) applies to any trade secret misappropriation activities that occur after its enactment (May 11, 2016). A major motivation for the DTSA were widely publicized reports of foreign hackers gaining access to sensitive government and corporate competitive information. The new act contains several important protection, enforcement, and employee notice provisions that all companies dealing with sensitive competitive information need to understand. This blog post is the first in a two-part series covering several important aspects of the DTSA. This post focuses on the practical impact of the DTSA on companies’ contracts and procedures. Among other protections, the DTSA contains provisions to protect employee whistleblowers who disclose trade secrets, in confidence, to government officials for the purpose of reporting violations of the law. Responding to a concern that non-disclosure obligations in employment contracts may prevent people from disclosing criminal conduct, the DTSA provides civil and criminal immunity for a person’s disclosure of a trade secret that is made in confidence to a federal, state, or local government official or to an attorney, “solely for the purpose of reporting or investigating a suspected violation of law.” 18 U.S.C. §(b). In other words, the law explicitly protects whistleblowers from retaliatory accusations of trade secret misappropriation, so long as they disclose trade secret information to government or court officials, in confidence, for the sole purpose of reporting or investigating a suspected violation of law. Employers must provide notice of this immunity to any employee in any contract or agreement governing the use of trade secrets or other confidential information. Failure to provide this notice means that non-compliant employers cannot recover punitive damages or attorneys’ fees they might otherwise be entitled to recover under the DTSA in any legal action for misappropriation of their trade secrets. To meet this notice requirement, an employer can provide the required notice in the contract or agreement, or simply provide a “cross-reference” to a policy document that describes the employer’s reporting policy for suspected violations of law. The DTSA’s definition of “employee” is drafted broadly enough to include contractors and consultants who perform work on behalf of a company, not just employees. Accordingly, it is important that companies revisit their independent contractor/consultant agreements, as well as their employment agreements and employee policies. Companies should also review any other agreements that involve IP rights and restrictions, such as non-disclosure agreements (NDAs), IP assignments, and collaboration and JV agreements, to make sure they contain this required whistleblower notice provision. Business agreement updates-Companies should update their agreements to disclose the whistleblower immunity provisions in the DTSA. If the agreements lack the whistleblower notice provisions, the company cannot recover punitive damages or attorney fees in trade secret litigation under this new federal law. IP litigation is expensive, so companies should prioritize these updates to reduce the risk that they will be saddled with unrecoverable litigation expenses and maintain their enhanced damages options. Misappropriation investigations-Companies should reevaluate their policies and procedures for investigating theft claims. Trade secret litigation usually moves very quickly and evidence of theft sometimes has a shelf life—particularly if it resides on server logs or within systems that engage in automated overwriting activities. And companies should have a plan in the event the company suspects a former employee, contractor, or other individual of stealing trade secrets. This avoids unnecessary delays that may further harm the company’s rights and increase the risk of public disclosure. Additionally, in order to use the ex parte seizure option, companies will need to quickly, yet carefully, evaluate their evidence supporting the seizure and confirm that a particular disclosure does not fall within the whistleblower protections. Seizure and rapid response plans-In addition, if a company is engaged in business in a competitive space with lots of employee and contractor movement among competitors, they should develop a seizure preparedness and response plan. Such a plan should minimize the business disruption and resources expended for seizure actions and provide the information the company’s attorney needs to support an immediate seizure filing—or respond to one—when seeking dissolution of a seizure order and a finding that a wrongful seizure occurred. 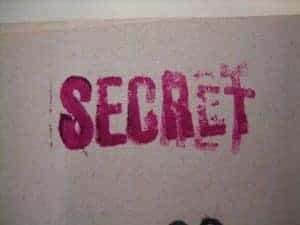 Audit trade secret protection protocols-Companies should audit their trade secrets and evaluate the physical and electronic protections in place to maintain the confidentiality of those secrets and ensure the protections are reasonable under the circumstances (i.e., given the value of a trade secret to the company). Preventative measures are far more effective, and less costly, at keeping secrets safe than methods designed to prevent further harm after the trade secrets have been taken. The DTSA gives companies that are victimized by trade secret theft new and powerful tools to obtain relief in federal court. However, to take full advantage of the new law, companies need to revisit their agreements and policies and develop a plan for dealing with offensive and defensive trade secret misappropriation disputes. Photo by RestrictedData. Used under Creative Commons license.